Adeline Schmidt (Irene) works in her father's beer garden and is courted by two men: aspiring composer Sid Barnett (Donald Woods) and Spanish-American War Army Major James Day (Louis Calhern). 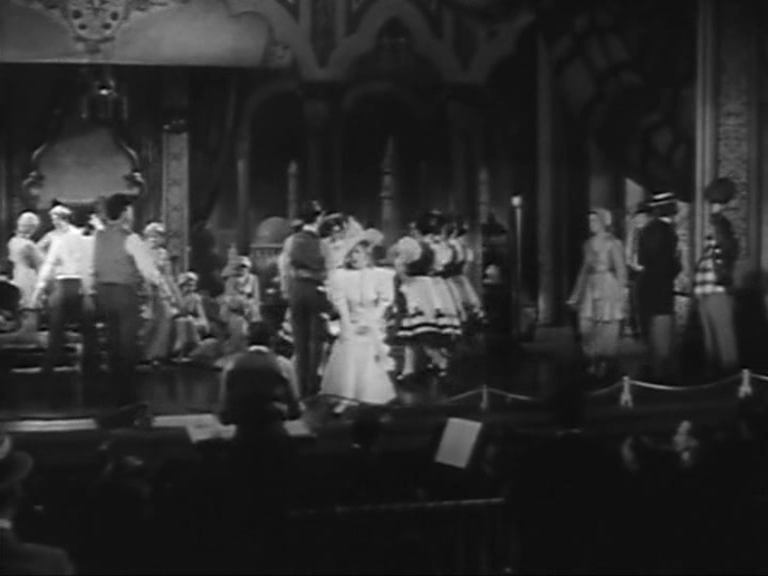 Of course sweet Adeline is not only a waitress but an accomplished singer for whom Sid's songs are written and thus he tries to persuade her to star in the upcoming production of his operetta. 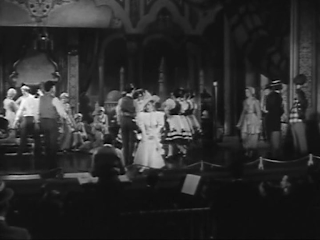 Knowing that her father dislikes all things theatre Adeline refuses, which ends with a quarrel between Sid and her, and Addie starting to date the Major. 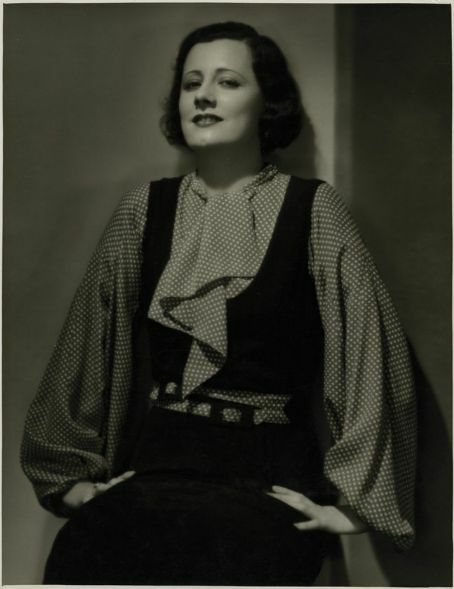 Well, the role goes to Elysia (Winifred Shaw) whose wealthy boyfriend Rupert Rockingham (Hugh Herbert) conveniently will back up financially for the show. Adeline's nutty sister Nellie (Nydia Westman) is suddenly vanished from the beer garden, and Addie searching for her - of course with the Major in tow - happens to show up at the perfect moment at a rehearsal of the operetta. To make it short: Adeline sings and snatches away the lead from Elysia who just shocked us and Sid with a horrible version of “Why Was I Born”. The part is taken over by Adeline and the financial back up by the Major, which means that he is around all the time. Sid has to face the green-eyed monster and rehearsals aren't going smoothly. At the day of the premiere, Adeline expecting a proposal, visits the Major at his new apartment, but the only future plans of the Major are to install Miss Schmidt as his mistress at this cosy little place. 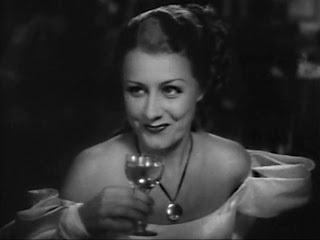 Shocked by this outlook and the notion that this is the kind of treatment "theatre dames" have to expect, Adeline wants to quit the show immediately, but is persuaded by Sid to go on. The show runs splendidly, but there is still Elysia - did I mention that she is a spy and stupid Rupert a member of the Secret Service? - who attempts to kill Adeline cutting the strings of a swing while Adeline does a singing-swinging number. Poor Adeline ends crashing on the floor, Elysia in jail and Sid writing a new show using all these happenings as scenery. 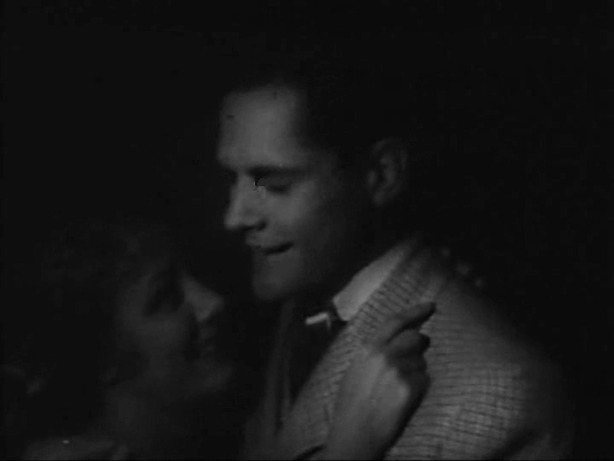 Of course Adeline - don't worry, fully recovered - is the star of this show, and after one and a half hour waiting for it, we get the final embrace - in thick darkness though. Happy End. Curtain. That's the story and that's the main problem - and I had a lot more fun writing it than I had watching it. 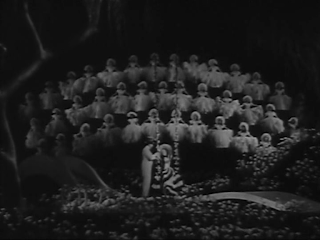 “Sweet Adeline” is a “hot and cold” film for me: thrilling me and boring me stiff during its duration of 87 minutes. The old, tried comedy construction of serious stock (Adeline, Sid and the Major) and laughing stock (Nellie, Elysia and Rupert) just doesn't work: all the attempts on being funny are just this - mere attempts. 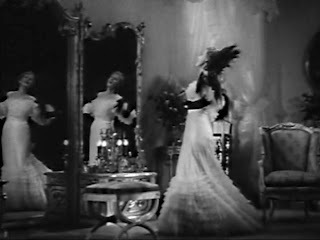 This interwoven ridiculous spy story is annoyingly distracting and from time to time the film commits the cardinal sin of dullness, which is a shame because all the craftsmanship Warner Brothers had to offer at that time is at hand: Mervyn LeRoy as director, Sol Polito as photographer and Orry-Kelly in charge of Irene's costumes. But not even the best are able to transform a lame duck of a script into a swan of a film. That this duck doesn't sink is mainly - once again - due to Miss Dunne who is not alone, because she has the support of a Kern score. I love Kern and I love Irene singing Kern, so this combination is a sure bet with me. 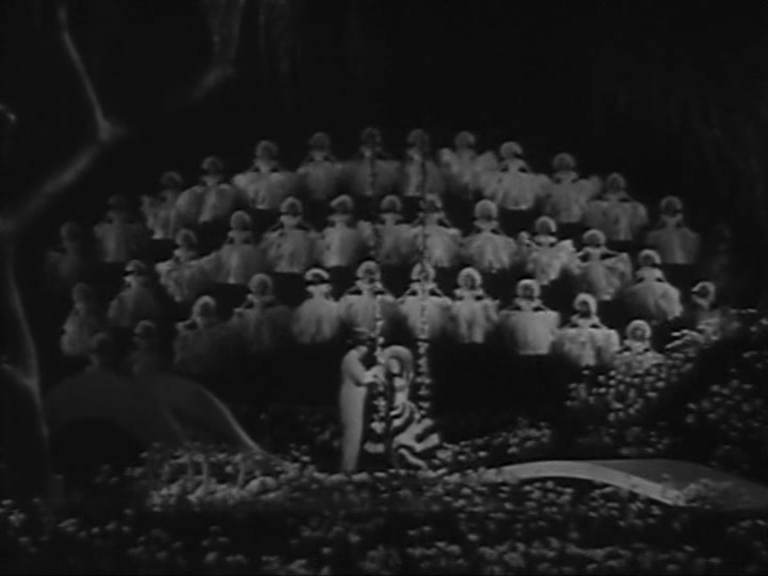 “Lonely Feet” is one of my absolute Irene favorites and this beautifully staged grand number (choreographer Bobby Connolly) is quite a treat. 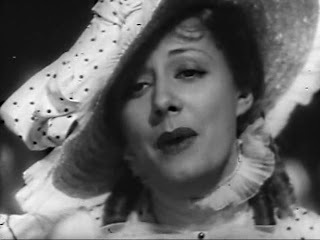 Beyond the wonderful Kern songs, “Sweet Adeline” certainly has its moments: smashing close-ups of Irene especially while she is singing, and clever ideas of handling the camera. As so often the parts are better than the whole. If Irene's intensity and a wonderful Kern score are reasons good enough for you to watch a film, those are notwithstanding the delicacies “Sweet Adeline” proffers between some tasteless courses. Delicious or not - for everyone really interested in Miss Dunne, this film is virtually a must, because it marks her first Kern on screen. 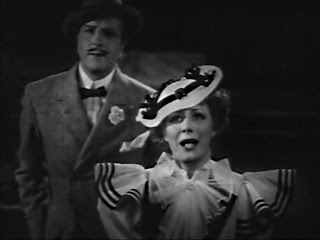 Considering how much Irene is associated with Jerome Kern's music that's an important Dunne moment, which shouldn't be missed. it's true that this film is kind of weak and the story sometimes gets boring but I love it and could watch it over and over again just because of the songs! 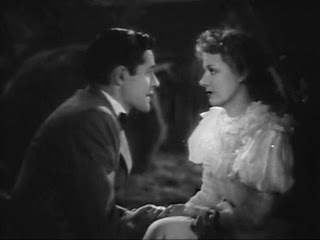 "Lonely Feet" is one of my absolute favorites too and one of my favorite Irene Dunne moments, I think the movie is completely worth watching for those 5 minutes!! On the other hand, I don't think it's her worst movie and I find it enjoyable depending on the mood I am in....it's certainly a movie that I appreciate somehow!! I have nothing more to add this time. All is said and dunne! Great review again Susanne, thank you!